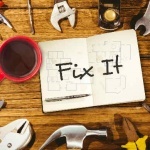 Which Tools Do You Need To Fix Your Appliances Yourself? Now we’re going to make a wild speculation and say you’ve got a first aid kit at home. Or at least a box with the essentials: plasters, painkillers, cough medicine, cream to soothe mosquito bites and so on. But do you also have a first aid kit to fix up your ailing appliances? We’re not talking about a set of old screwdrivers kicking about in a drawer somewhere. We’re talking about the essentials you’ll need to give your appliances TLC when required. Having the right tools on hand lets you save money on repairs by fixing your appliance yourself. 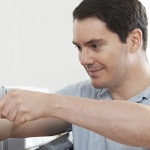 So read on to discover the appliance repair tools we think every home should have! A multimeter is an incredibly useful little device. It can be used to test appliances and their components for faults so that you can get to the bottom of any errors with your machines. 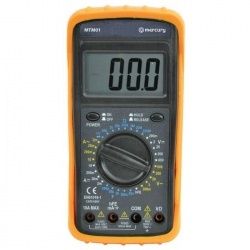 Multimeters don’t cost the earth either; inexpensive models will give you change from a ten pound note. If you’re full of questions like “What is a multimeter? How do you use it? How does it indicate a fault?” then our playlist of multimeter videos on YouTube is for you! We’ve already mentioned screwdrivers, but we’re mentioning them again as a good proportion of DIY fixes involve lots of unscrewing! Not all screwdrivers are alike. There are the really cheap sets from discount shops or the tiny ones you get in Christmas crackers. Or there are good sturdy sets with a selection of different sizes and handy features like magnetic tips or ratchet handles. We’d go with the latter. 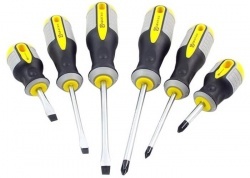 Most screwdriver sets will contain Philips head and slotted head screwdrivers (for use on screws with cross shaped or slot shaped indentations). 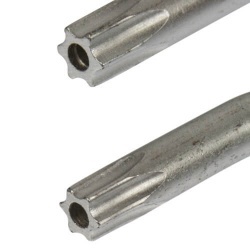 These screwdrivers are handy for most DIY jobs around the home but you may find that your appliances are also held together with torx head screws (with star shaped indentations). You’ll need a torx head screwdriver to unscrew these and once again we advise getting a quality set with a variety of different sizes. 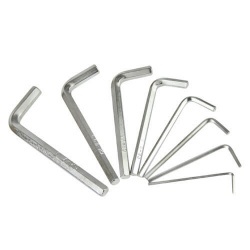 eSpares Fact of the Day: Allen keys are so named as they were patented by William G. Allen in the 20th Century. 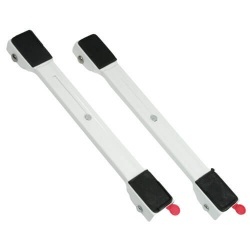 They’re also known as hex keys because of the hexagonal shaped indentation in the screws they unfasten. Some appliances will be held together with this type of screw (yes appliance manufacturers like to mix things up).You know what we’re going to say next – seek out a set with a number of sizes! If you’re looking for a specific size you can measure the indentation on your screw to check you’re getting a key which will fit it. 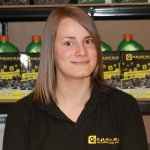 Shed some light on your repair! Some fixes in hard to reach places of your appliances may need a bit of extra illumination to make the job easier – especially if the problem is a blown bulb! 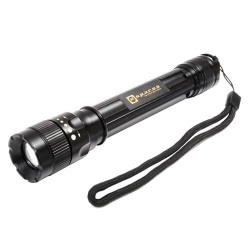 A torch with an adjustable beam is useful for focusing in on the finer detail of your fix. Look out for a shock resistant torch if you’re prone to dropping your tools. If you need one hand for your spare and the other for a screwdriver, but still need some extra light, you could even invest in that super fashionable DIY accessory – the head torch. If you find you need to turn and manoeuvre your appliance to carry out your fix, fitting some rollers underneath could save you a lot of effort and stop scuffs to your floor and strains to your back. When lifting heavy appliances we recommend enlisting the help of a friend, neighbour or significant other and the same goes for fitting the rollers. If your rollers have a built in brake you can leave them under the appliance when you’re done to help you move it out to clean behind it in future. 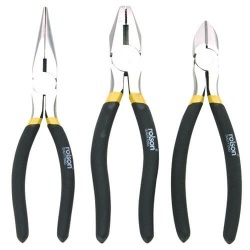 A set of pliers could come in handy for fiddly steps in your repairs that are too tricky for fingers alone. 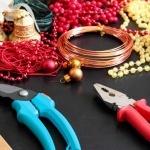 Pliers have all sorts of bonus uses around the home too, from bending wires to holding nails whilst you hammer them, so they’re a worthy addition to your toolkit. If your current appliance first aid kit is lacking (or non-existent) now you know the key tools to add. If you want to stock up we have the essentials so you can find what you need all in one place. Seasoned DIYers, have we missed any tools you couldn’t do without? Just let us know in the comments below. Great tips! I will get all those tools soon. I am trying to do some repairing stuff on my own. This is really helpful.